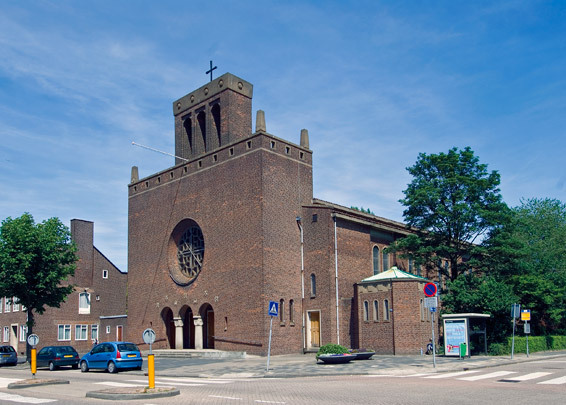 This Roman Catholic church is a beacon of traditionalism amidst the prefab housing and modernist shopping centre of Overschie. Resembling a basilica in parti, the brick building's interior boasts thick-set tiled columns with round arches. The main space could accommodate 1000 worshippers. Next to the entrance is an octagonal baptistery; the sacristy is in an annexe at the rear. A second annexe contains the trapezium-shaped presbytery with its decorative brickwork. A tall steeple has been passed over in favour of a monumental front with a modest bell tower.